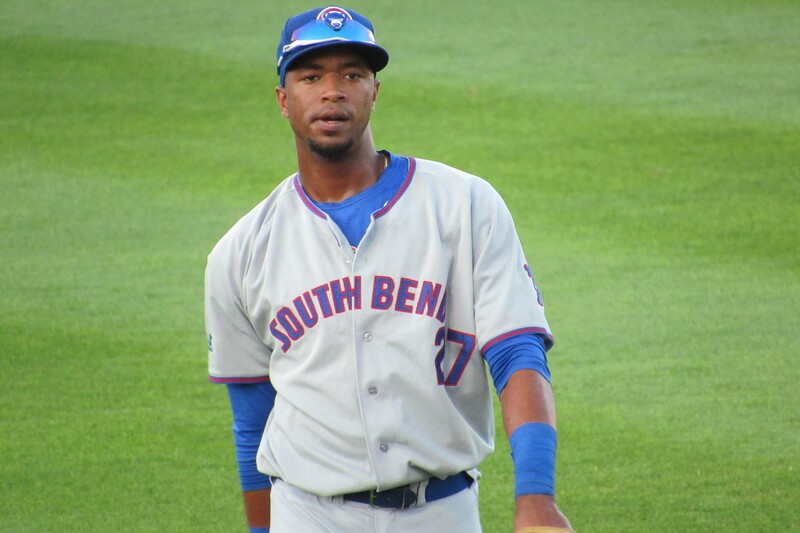 Chicago Cubs farmhand Eloy Jimenez was named Minor League Baseball’s Breakout Prospect of the Year on Monday. It’s just the latest honor for Jimenez, whose other 2016 accolades include the Midwest League MVP and Prospect of the Year awards, the Top Star Award for his performance in the MWL All-Star Game, and being named the Cubs’ MiLB offensive player of the year. He also was named the Midwest League’s offensive player of the week twice, and starred in the All-Star Futures Game. Jimenez currently is playing in the Arizona Fall League. He is among the prospects named to the AFL’s Fall Stars Game, which will be played Saturday. This entry was posted in 2016 All-Star Futures Game, 2016 Playoffs, Arizona Fall League, Carolina League, Midwest League, Myrtle Beach Pelicans, South Bend Silver Hawks. Bookmark the permalink.